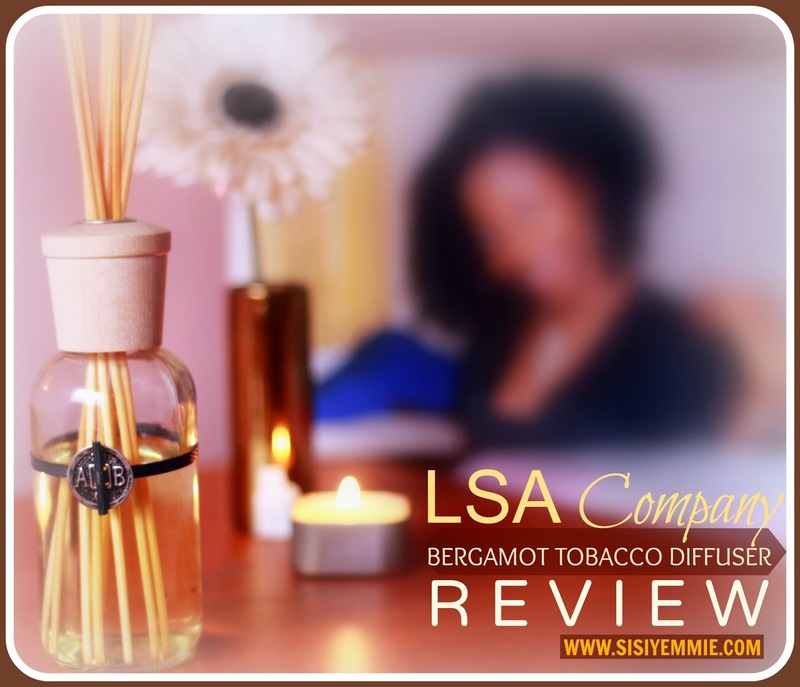 LSA COMPANY : BERGAMOT TOBACCO DIFFUSER & SOY CANDLE REVIEW! A few weeks ago I was invited to the LSA Company Online Store Launch and It was really fun. Immediately I got into the space it smelled of beautiful fragrances and that was the first the that caught my attention, I naturally gravitated towards the array of diffusers and candles. Do you know fragrances add character to a house, a room, any space? When people walk into your house, office, car you want to welcome them with a nice scent and thats something I believe we should all invest in. I'm a sucker for nice smelling spaces. I purchased some soy candles and also got a goody bag after the event which contained more candles and a big reed diffuser I was informed that the diffuser would last between 3 to 4 months and I think it will because I've been using it over 3 weeks and there's still so much content in the bottle. I had an empty bottle of an old diffuser I used to have , so I split my bottle in two, now I have on in the living room and one in my bedroom so you can do that if you're thinking of minimising resources. The reed diffuser I got is called the Bergamot Tobacco, it is described as a "sultry blend of Italian Bergamot, Earthy Patchouli, and Tobacco Flower". The Diffuser adds a decorative touch to any room and fills the home with several months of intoxicating fragrance. I always light up my soy candles when I get back from work in the evenings, it stays in my bathroom, so by the time I am taking a bath, I always feel so relaxed. I got the soy candles in Mandarin Zest. i have this lemon-scented gigantic candle- think it's called yankee candles. u r right, scented candles add character to the home. They have very scents and affordable too. Saw them at the GUIDE exhibition.